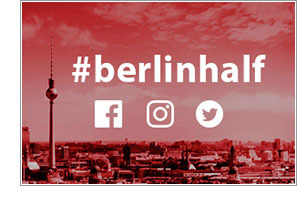 Although April 7, 2019 is still a long way off, you can follow all the news on the one and only GENERALI BERLIN HALF MARATHON on Facebook. 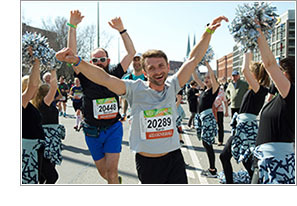 From now on, the event will be presented on its own fan page: At @berlinerhalbmarathon you will find regular updates, advice, great photos, videos and special offers all about Germany's biggest half-marathon. To celebrate the re-launch of the site, you can win one of two starting spots! We look forward to seeing you again on Facebook and at the latest at the GENERALI BERLIN HALF MARATHON 2019. Until then we wish you an exciting year. Win your free start for the GENERALI BERLIN HALF MARATHON 2019! 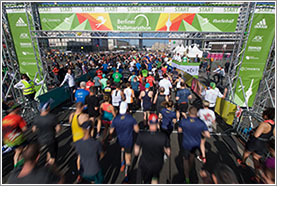 Win a free starting spot for the GEMERALI BERLIN HALF MARATHON 2019! How many page likes will the page have on November 20, 2018, 12:00 (CET)? Closing date for entries is Novemmber 15, 2018, 11:59 p.m. Each raffle participant may only leave one comment. The winners will be whoever guessed closest to the actual number of page likes recorded at the time stated above. The race vouchers can be redeemed for any of the disciplines at the GENERALI BERLINER HALF MARATHON. The winners will be notified on November 21, 2018 via Facebook Messenger. Please take note of our conditions of participation and data processing info. 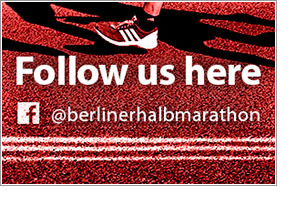 If you actively use Instagram, Facebook, Twitter and Co., you can find like-minded people via the hashtag #berlinhalf. Connect with other participants of the GENERALI BERLIN HALF MARATHON, see how they train and be inspired by the community. Our tip: If you include #berlinhalf in your posts, you can also make your own content more visible. For example, on the event‘s social wall. The 39th edition of the GENERALI BERLIN HALF MARATHON will take place on April 7, 2019. Start and finish are moving to the grand boulevard, Straße des 17. Juni, in the vicinity of the Brandenburg Gate. As a result, the route will slightly be adjusted. Accurate maps with an overview, directions and route will be published in a timely manner. Of course, you will also find all updates on Facebook. 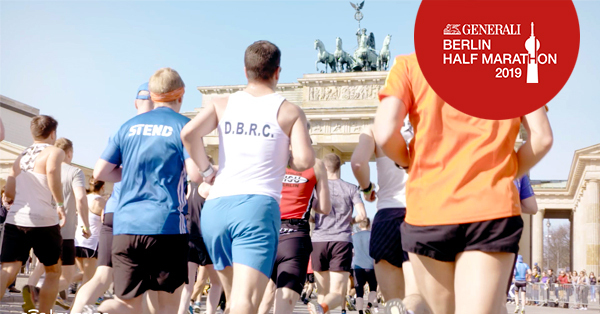 Subscribe to the GENERALI BERLINER HALBMARATHON page, and you will be sure not to miss anything! If you do not have winning luck, you still have an option of a regular registration. The official registration deadline is March 15, 2019. But you should not wait that long. The experience of recent years has shown that the event sells out much earlier. All starting spots for the 2018 edition were already taken in November 2017. At the moment, more than half of the available spots have already been booked. So, do not miss your chance and sign up for running or skating the 21.0975 kilometers. You received this email since there is an active subscription for the email address unknown@noemail.com. You can check or change your subscription here. If you do not wish to receive any further emails from SCC EVENTS, please click here.